Looking for a personal blogger template? Yeah! this template is for you. After longtime we releasing a big project. This is our longtime project. Free download DreamLine blogger templates for your personal blog. DreamLine is personal website templates for personal blogging. DreamLine is flexible and smart blogger template. If you running a personal blog, then hope this template will be your first choice for your happy blogging. 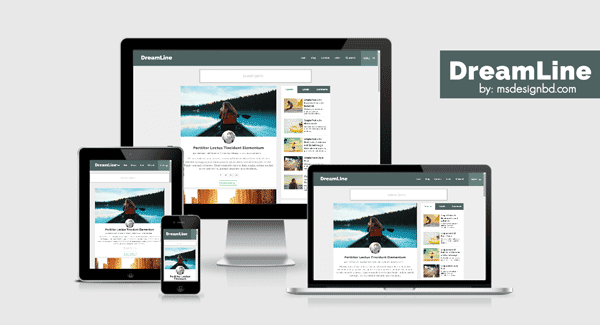 DreamLine blogger themes is fully responsive and mobile friendly blogger template. Search Engine Optimization is our fashion. That's why DreamLine also a another SEO Optimized blogger templates.